vaaleanpunaista pitsinnypläystä ja nappikauppaa: Hyvää syksyä ystävät-Happy autumn friends. Hyvää syksyä ystävät-Happy autumn friends. Eilisen päivän kortti. Kauan se kesti ja välillä meinasin jo luovuttaa. Olen todella tarkka värejen kans ja puun kukat on nyt väärän väriset.. No näin tällä kertaa. Elämäni ensimmäinen pop up kortti. Kiitos Camillalle ohjeesta. Ohjeen löydät MDUC. Ihanaa syksyistä päivää ystävät , kiva jos jaksat jättää pienen kommentin. Yesterday's Day card. It took me a long time and I was going between the already released. I really accurate värejen with flowers and wood is now the wrong color .. Well so at this time. 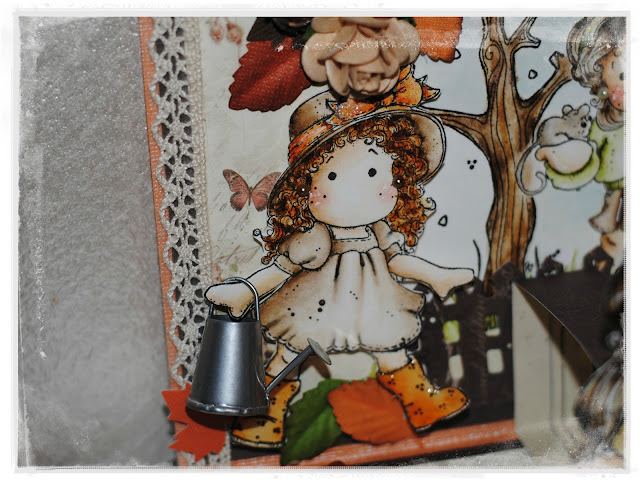 My very first pop-up card. Thank you for your help to Camilla. Help find MDUC. Lovely autumn day friends, nice if you are able to leave a little comment. You created a fabulous scene here, Marika. Love the pop up effect. You have a good eye for little details which is just fabulous. Brilliant colouring as well. WOWZERS what a gorgeous pop up card you made here Marika, not 1 but 4 delightful Tildas too and wonderful details...superb creation. 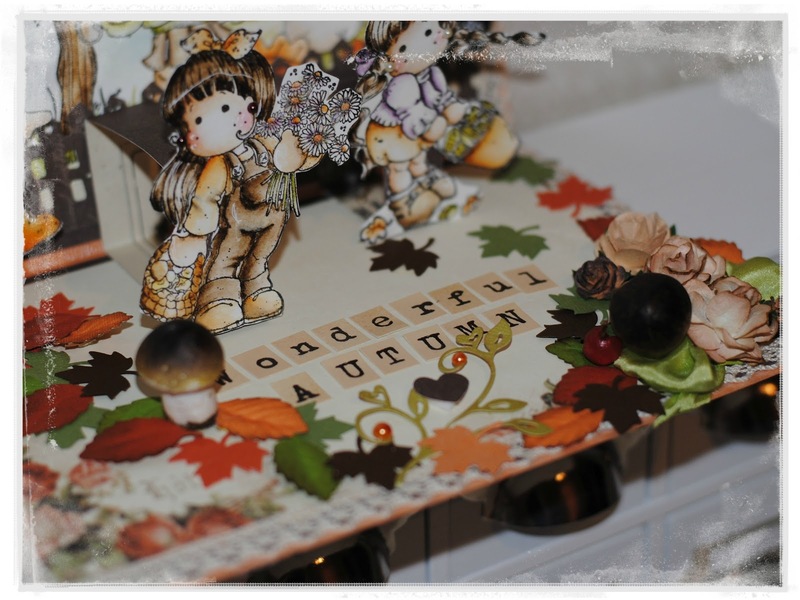 Thanks for joining in our Autumn challenge at Totally Tilda..good luck! 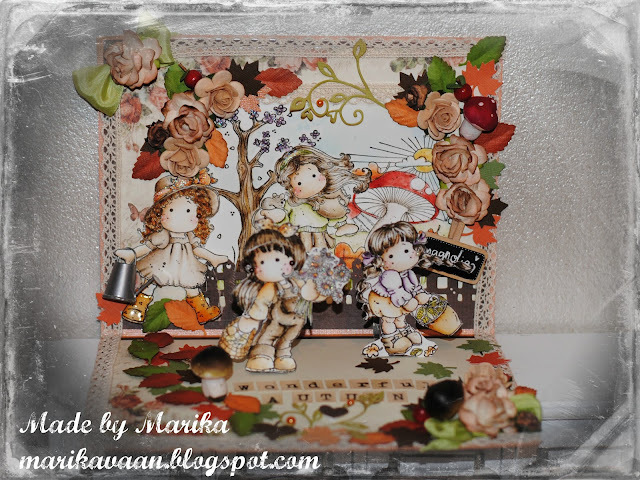 Gorgeous pop-up card Marika, I love all the beautifull fall colours. Thanks so much for joining us at Simply Magnolia. Wow! This is amazing! Absolutely beautiful! Thanks for joining us at Tilda's Town this week. 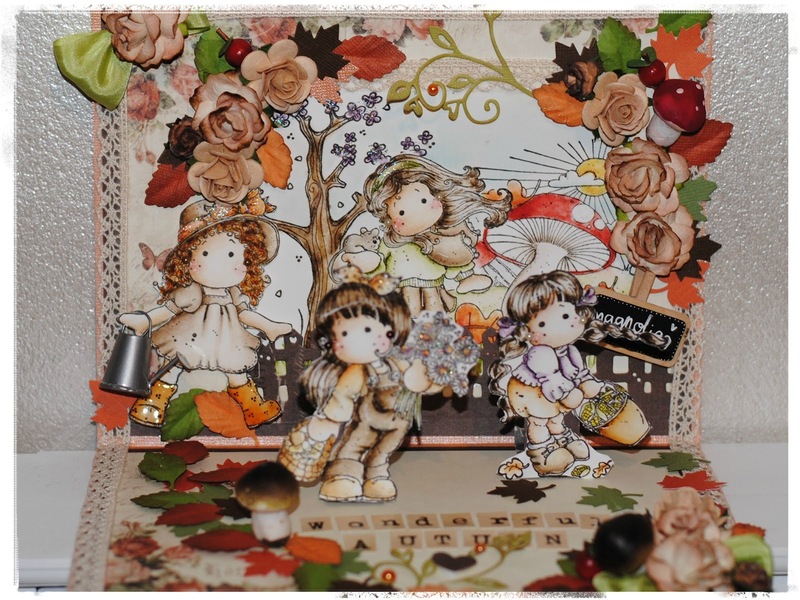 Oh Wow what a brilliant scene and love all the Autumn colour. Thanks for joining us at Tilda's Town this week. O.M.G. I just don't know what to say, but this is totally gorgeous!! I am in lurv with your pop up card, I love the scene you created and all the Tilda's it really is totally amazing what you have created here:-) THANKYOU so much for tackling our Pop Up card challenge at Magnolia Down Under this week!! Oh my Word! This is truly outstanding! Just stunning! Fabulous creating! 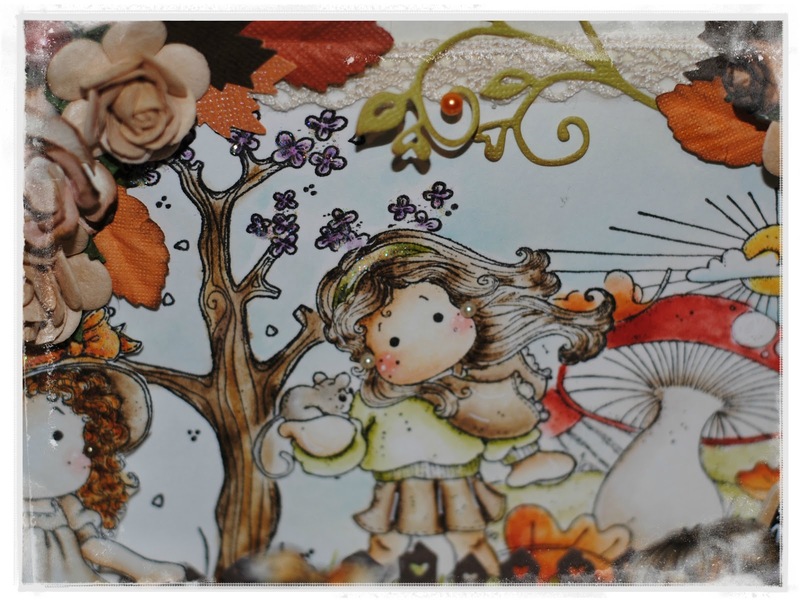 I love scenes and this is Autumn Color gorgeous! So glad you linked up to Tilda's Town Challenges! Thanks for playing! 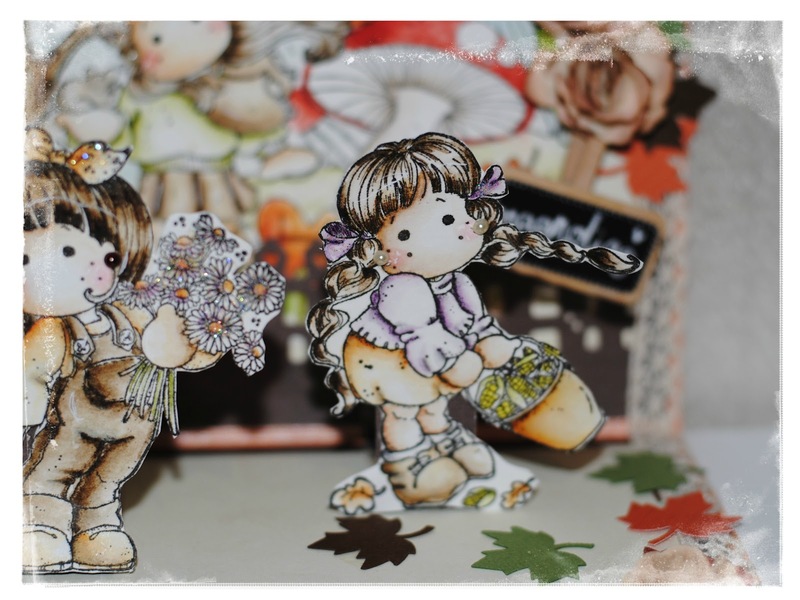 I love all of the images you have used on your POP-UP card!! STUNNING!!! Gorgeous Tilda creation, stunning design & colours, great take on the Autumn chall theme. This is wonderful, love the fall and you put it all into this one. it's gorgeous. Oh, sweetie! 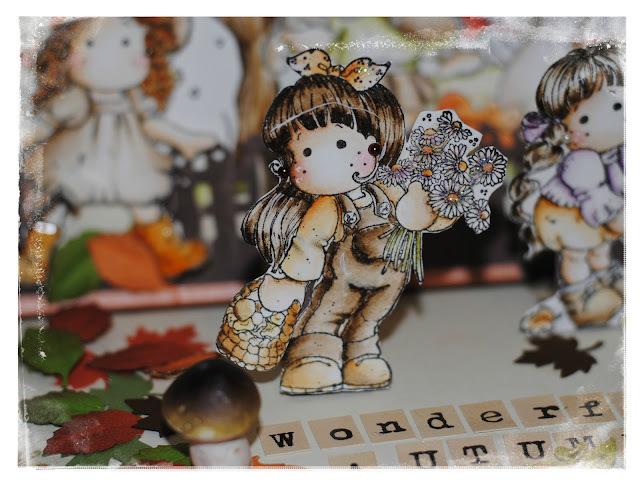 You've done a beyond AMAZING job with this lovely pop up card! You know how to take on a "real" challenge! ;) Stunning colors, beautiful, beautiful coloring and such great Tilda caracters that goes well togheter :) Such gorgeous papers and your scene is....well...it´s just DIVINE! On niin uskomattoman ihana että kateeksi käy! !